Sony and Opera have announced that they are teaming up to offer a more 'lean-forward' web experience on televisions, with news that Sony's latest connected TVs will come equipped with Opera's web browsing capabilities. 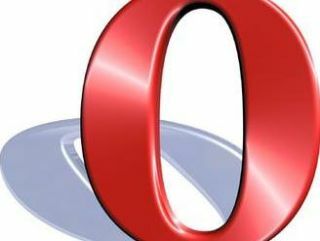 Christen Krogh, chief development officer at Opera, said about the link-up: "The web as we know it is evolving, and we are committed to making it more accessible across diverse devices,. "Our ability to address key hybrid broadcast-broadband initiatives in numerous markets makes us a natural fit with Sony. By delivering both a global viewpoint and the necessary technology, we are able to stay on the cutting edge of the industry." Sony already has a pretty decent setup for web apps, in the form of Sony Bravia Internet TV. Its main rival in this web TV space is Samsung, which recently unveiled a brand-new look to what it is calling its Smart TV hub. Adding Opera means that users will be able to enjoy full web browsing on their TVs, with HTML5, HbbTV and OIPF all compatible with the broweser. The addition of Opera to Sony's connected TV and Blu-ray output may well act as a foundation for Google TV, which has yet to be launched in the UK.